BlaBlaCar is a funky name startup whose name indicates it is a startup somewhat related to a car. BlaBlaCar, as their logo suggests, is a crazy new age startup. It is a startup by three gentlemen named Frédéric Mazzella, Nicolas Brusson and Francis Nappez. 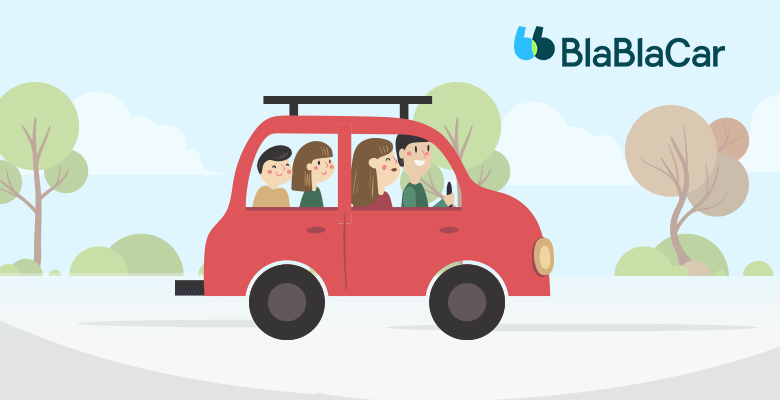 BlaBlaCar is an online marketplace for carpooling which connects drivers and passengers looking to travel between cities and share costs of the travel. BlaBlaCar offers unique model wherein the rider can travel at any point of time by just selecting a rider and booking a seat. BlaBlaCar claims to be the most trusted carpooling service in the world. A carpooling service not only offers riders cost-effective and better transit solution but also provides the driver with an additional source of income which otherwise would not have been encashed by the driver. Various companies have played around carpooling service post few dominant taxi operators who provided carpool for cheaper options to users. A carpooling is also effective for the fact it reduces the number of cars on the road and thereby reducing carbon emissions which in turn contribute to saving the environment. Now let us understand How does BlaBlaCar Work. As mentioned earlier that BlaBlaCar is an online marketplace which can be considered as peer to peer marketplace model wherein at both the sides there is a person to person interface rather than business to customer or business to business. In B2B and B2C, directly a company is dealing with the end user. In this model that BlaBlaCar does is about an individual dealing with an individual. A rider has to create a profile on BlaBlaCar app or website. A driver makes profile under same website or app and updates the route of his/ her travel. In both the profiles are it of rider or driver, a government-issued photo identity card is needed. Once the details of driver and rider are filled, accounts are created. The rider has to select the travel destination from their location and select the most suitable ride by clicking the driver of their choice out of the list and ratings of a driver and the best possible route to their destination. After completion of the ride, the rider has to rate the driver. A Driver’s ratings are given depending on their talkativeness during the ride. Rating “Bla” means the least talkative driver, Rating “BlaBla” means someone who likes to talk and communicate with riders and Rating “BlaBlaBla” means someone who cannot shut up anytime and keeps on talking to the riders. After creating an account, the member creates an online identity and gains reputation after sharing experiences of their rides with other members in the community. It is important for the member to develop a reputation. Earlier being a part of the community and adding more connections was free but now the company has introduced charges for the same. The rider post ride can not only rate driver but same works reverse as well wherein a driver can give feedback about the rider. The rider gets contact details of a driver just after the driver accepts the ride. During selection of ride itself, the rider has to pay for the ride before the ride starts. However, in case of cancellation of a ride, the amount is refunded to the rider as per cancellation policy of BlaBlaCar. With their values towards riders and drivers and being trusted carpooling site, the company has now become World’s largest Long Distance Carpooling community. Every Startup has a story and a pain point which enables the founder to find a solution to the problem. BlaBlaCar has an interesting story to tell. The idea of BlaBlaCar has incorporated one Christmas, when founder Frédéric Mazzella, a student at Stanford, wanted to go home on holidays to his family in the French Countryside and had no car and no availability of seat in a train. The roads were full of people heading home for the Christmas celebration with their family. Majority of cars were empty and had no fellow passenger. It struck to him that there must be an online site which would help people find a driver going in their way and share transport costs in exchange of an empty seat but no site existed then. He imagined a new transport network built by the community and bring efficiency to road transport by solving congestion problem and make travel affordable and social. He imagined peer to peer transport network for huge environmental and economic benefits of enabling more efficient use of existing resources. Fred initiated online website and the community began to grow organically. He met co-founder and engineer Francis Nappez and fellow student in his MBA Class Nicolas Brusson, the third co-founder. In the year 2004, Vincent Caron bought domain name Covoiturage.fr and started a website. In 2006, Frederic Mazzella bought the domain, created a company Comuto with an idea to become company owner of every car-pool site. In 2008, Comuto launched the revamped version of the website. The new version included a community aspect allowing public recommendation, profiles and biographies. In 2008 itself it became number one website for carpooling in France. In 2009, it launched a Spanish version of the website and opened a number of carpool services for multinational and large companies including IKEA, Carrefour, MAIF among others and launched iPhone App in 2009 along with Android app in 2010. In 2011, the company introduced BlaBlaCar.com in the UK. In 2013, BlaBlaCar expanded to Germany which already had a lot of carpool sites. The company renamed Covoiturage to BlaBlaCar to unify all sites under a single name. At the end of 2013, it had 5 million members and 1 million active users across 10 countries. In 2014, the company expanded to Ukraine, Russia and Brazil and reached 10 million users. In 2015, the company expanded to India, bought multiple carpooling companies in Germany, Bought Autohop in Europe and Rides in Mexico. It reached 20 billion users from 19 countries. It also partnered with Axa, the renowned insurance firm to provide travel and related insurance to users. In 2016, it signed a contract with GoEuro to offer remuneration based on the number of connections. In 2017 it partnered with Opel and ALD Automotive for long-term rental service. It also launched BlaBlaLines which was an application for a daily carpool. In 2018, it revamped algorithm and reached 60 million members and 18 million travellers ever quarter in 22 countries. It then bought Ouibus which was a long distance coach operator. As mentioned above, BlaBlaCar business model offers riders end moment travel options through verified and reliable partner drivers across 22 countries. It is a long distance peer to peer carpooling service. Let us understand the BlaBlaCar business model in more detail. The company charges brokerage of 12 per cent from every rider who takes a ride using its platform. BlaBlaCar does not own a single vehicle or car but operates millions of rides every day. The brokerage is one of the largest sources of income for the company. As there are millions of riders who take rider every quarter, the brokerage is a major revenue source for the company. Earlier the connections offered to the users were free. However, the company discontinued the free connections in 2011 and offered paid connections. This enabled them more revenues and now the connection revenues are approximately 20% of their total revenues. With a partnership with Axa, the company ventured into travel insurance and related insurance which enabled the company to offer additional service to the customer as well as keep the rider secure and insured in case of any mishaps. This also became an additional source of income for the company. The BlaBlaCar business model earlier used to offer space to people to advertise their carpool. The company has continued this to certain regions. With partnerships with well known and various business customers like IKEA, Carrefour and others, the company has received greater growth and revenue as there are fixed riders on daily basis and assured income. Corporate partnerships are lucrative for the drivers who have assured fixed income. The company has entered into long-term rental coach operator which provides entire coach on rent which ensures greater revenue for the company which can get more riders on a long-term basis in a single coach which has larger capacity over private cars. So this is the BlaBlaCar Business Model. BlaBlaCar has also made the world smaller by making a community of trusted people and making them friends eventually in a long run. It might not be surprised if someone finds love or a true friend someday using this carpool service. How to Launch Your Own Business Similar to BlaBlaCar? 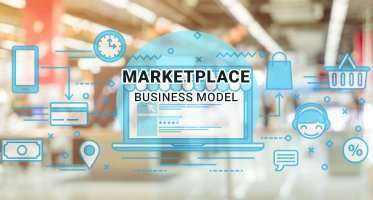 If you’re willing to start your own on demand business – you should go with BlaBlaCar clone which has customized features to let you roll with your own on demand business. You can comment on BlaBlaCar business model, here in the comment box. ← How Sports Betting App is Changing the Present Scenario of World?